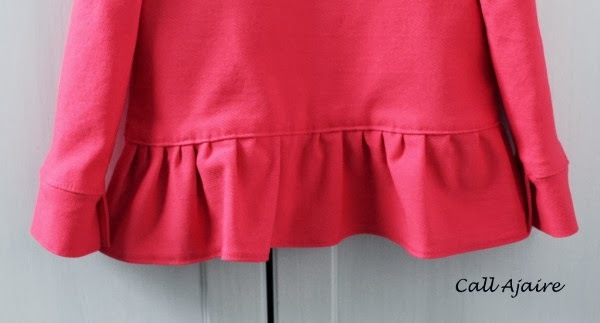 It’s been a few months since I have been able to participate in the Flip This Pattern monthly sew along over at Frances Suzanne so I was determined to flip February’s pattern. The pattern is the Josephine Dress from Violette Field Threads. It’s a really lovely pattern and though I hadn’t sewn with one of their patterns before I definitely will again. The instructions were clear and the design is very detailed. 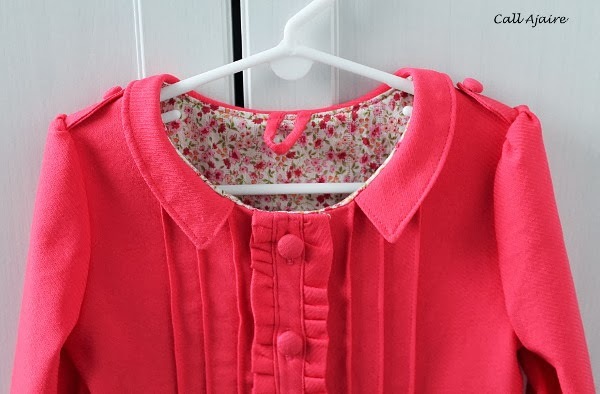 When I first saw the pintucks on either side of the front button placket I thought of a spring jacket for Bean. She has worn her Peppermint Bubblegum Coat all winter, but I wanted something fresh for spring. The 3T sleeves of her coat are starting to get a little short so for the new jacket I decided to use the 4T sizing. This will hopefully make a great fall jacket too so though it’s a tiny bit big today I am so happy I chose the larger size. 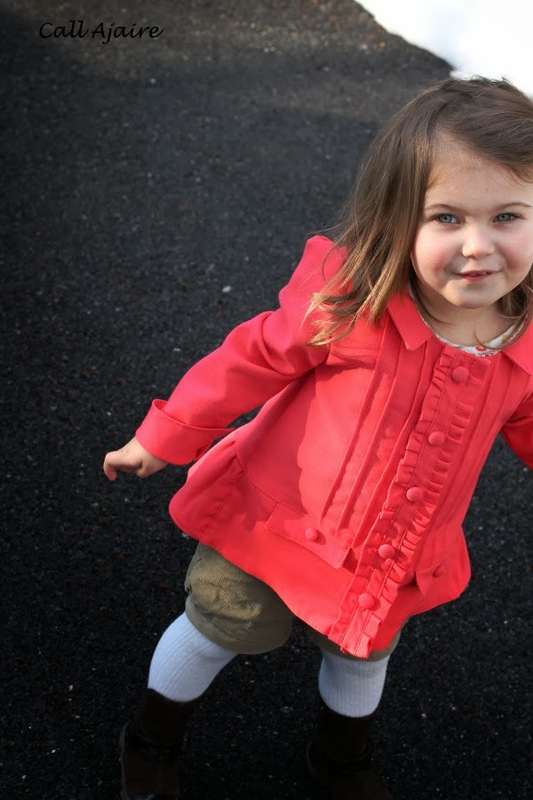 The Jacket was made of this lovely coral fabric I picked out from G Street Fabrics’ sale bin last month. It has a nice feel to it with texture and a bit of stretch. My first thought with the fabric was for pants or a skirt for me, but by the time I got it home I had decided on a spring jacket for Bean. I still have some left over so we’ll see what that becomes. The lining is more of the lovely floral double gauze from Imagine Gnats’ shop. It is lined everywhere except for the sleeves. I didn’t want the extra bulk in the arms for the warmer weather. I have pictures of how I made the jacket and will post later about those details. Maybe early next week? But for now I’ll do a quick rundown of the changes I made for this flip. I chopped the bottom five inches off the shirt length of the pattern front and back pieces. I then created a band to reattach to the back with some ruffles. I added mini epaulets at the shoulders and narrowed the collar. 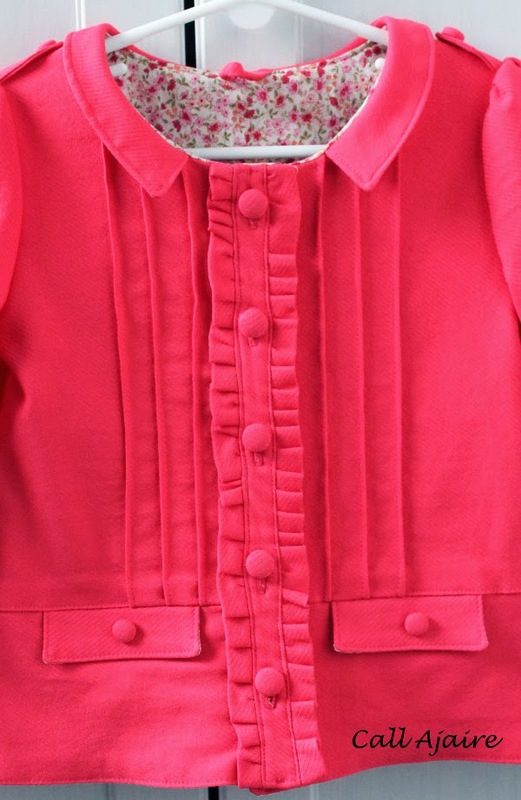 All the buttons were made with more of the coral fabric, but using the reverse side. 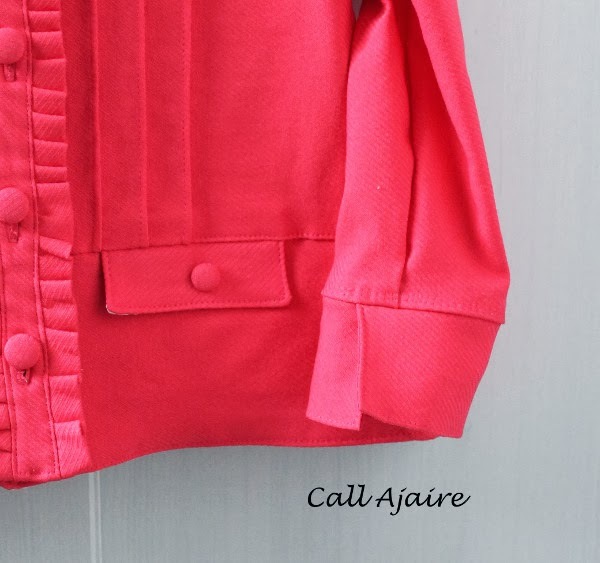 The ruffled button placket and pin tucks were so nice I decided to keep them. I created them a bit differently so the jacket could be lined nicely, but the overall look is the same. Where I chopped the five inches off the bottom of the front I then reattached a band with a faux pocket detail on each side. The shoulder of the sleeve was left as is, but I changed the sleeve bands to wrap around slightly and be open without a closure. For now I can turn up the band so Bean will have room to grow into the arm length. So there you have it. 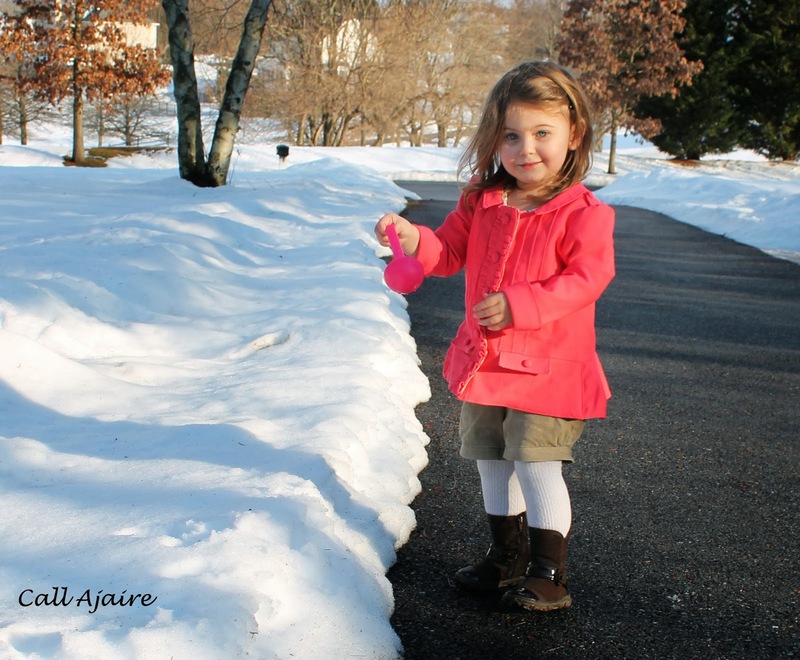 A spring jacket with snowy pictures, hehe. I will say that is was gorgeous out though. 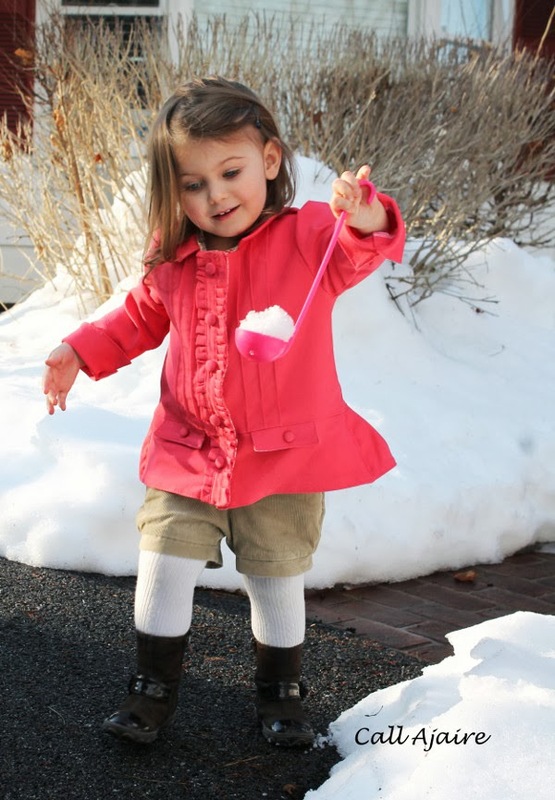 The weather has warmed just enough to make you want to go outside and play. Bean was very excited to be able to run around outside for a bit. I feel like we’ve been way too cooped up this winter. We had a stretch of just insanely cold temperatures (as did most of the rest of the US north and east coast) so it’s great to enjoy some 30s and 40s for a change. I’m happy I was able to squeeze in this flip. 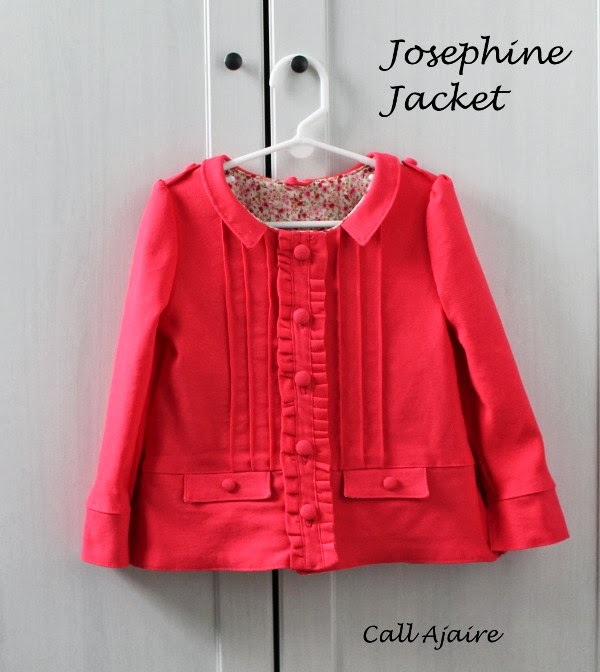 The Josephine Jacket came out just as I had imagined. Don’t forget to vote for one of the competitors in the viewer’s choice category later this week. There are some great designers this month. And of course there’s the sew-along. Stop by and see what everyone else made. And be sure to come back again tomorrow because it’s the third Thursday of February which means it’s time for our Monthly MashUp. February’s MashUp is really exciting so you won’t want to miss it! Love how you flipped the Josephine! So cute and such a great color. And Bean is just adorable! Very cute!! 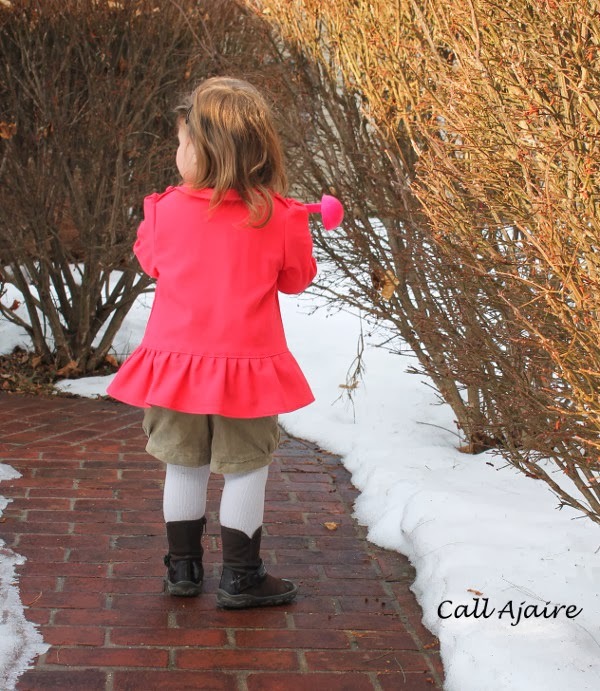 I can't seem to get enough of that coral…..and that color, along with your flips to the original pattern, make a perfect 'spring coat!' I can't believe Bean is wearing a 4….where has the time gone!?!?!? 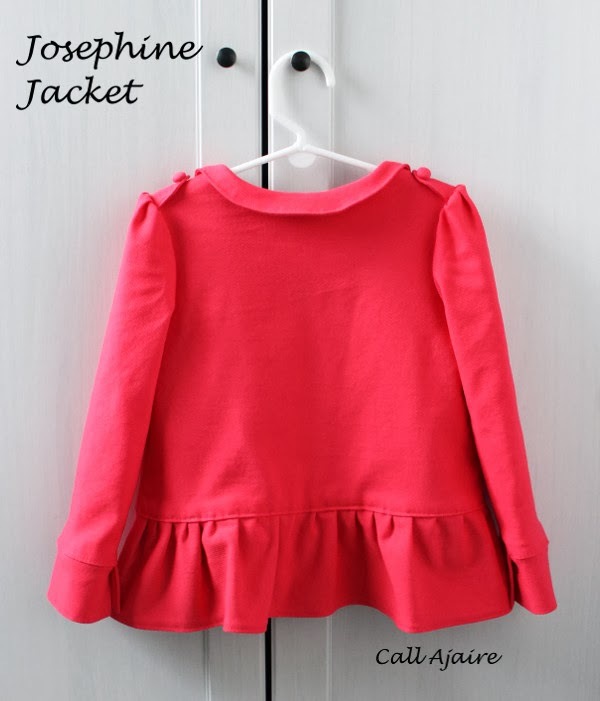 Cute, cute jacket! I love how you slimmed down the collar… I am wishing I would have done that on mine! Great flip! Very adorable! We currently have a crush on jackets! This is an amazing flip! Great color and the details… Wow! Beautiful! That lining fabric looks so yummy… Love the sleeve cuffs! I love the lining and the color in general!! 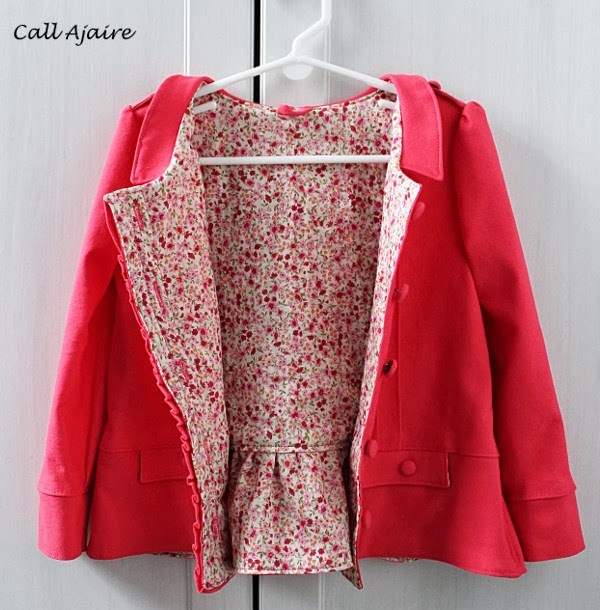 This jacket is so stinkin' cute!! I love all the details you added. It's perfect for spring! Oh my gosh, I love this! I want to make one just like this!